Is your business ready for anything? For most distribution businesses, managing IT infrastructures is not their core competency. Distribution businesses are experts in distributing products and parts, period. Unfortunately, the success of many distributors is directly tied to their ability to utilise technology to keep stock control balanced, costs low and inventory lean. Distributors that do not have trustworthy technology in place report high levels of excess stock or frequent and costly stock out situations. Over time these inefficiencies can erode away profits and hurt the customer loyalty that is so crucial to maintaining long term growth. Many distributors get frustrated with their ERP system capabilities and the natural reaction is to look to remove and replace the technology with “something better.” The risk, time and investment associated with implementing a new ERP system however is staggering and often times not worth the headache. So, what happens? If fear wins out, the company chooses to keep its current legacy ERP and the inventory issues pile up costing the business customers and profits along the way. If change wins out, ERP users in the automotive aftermarket parts industry find it difficult to distinguish major differences between systems that seem to fulfill the same function. For distributors of aftermarket parts, this makes choosing one over another very difficult, as many of these products do not seem highly differentiated. To make matters worse, most ERPs do not deal specifically with inventory optimisation capabilities, which is typically the root source of the over stocking and understocking situations in the first place. Simply changing from one ERP to the next will not solve complicated optimisation challenges. More advanced technology is needed to give a much needed competitive advantage. 1. 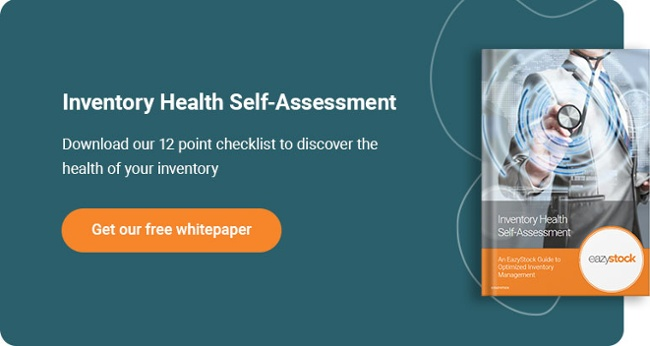 Finding the Right Inventory Availability Balance: Suppliers have limited resources at their disposal, so they need to keep inventory to optimum levels in order to remain profitable. The unit cost of car parts is high, and oversupply can have a serious impact on the bottom line. Conversely, having real-time access and insights into your product availability is critical to meet volatile customer demand, and having safety nets in place (such as automated safety stock, also called buffer stock) can off set the risk of running out of inventory. 2. Keep Product Availability High for High Demand Parts: Distributors need to react quickly to changes in the market in order to satisfy customer demand. This means that they must keep adequate stocking levels to fill orders, as back orders and delays can lead to lost sales opportunities and harm the reputation of the business. While ERP software can deal with many aspects of the business, the supply of aftermarket parts requires a dedicated inventory control system. This must be reactive enough to quickly capture changes in customer demands and emerging trends in the market. Traditional ERP systems do not have the capabilities to recognise efficiently these types of market trends. Optimisation software can fill that gap. 3. Automate Purchasing: Much of the order purchasing work managed with ERP software requires manual number crunching outside of the system in spreadsheets or calculators. A far cry from automation. Leaving some of the most important monthly calculations for inventory management to manual execution. These activities, typically managed by procurement specialists, are time consuming and drastically increases the margin of error when reordering spare parts. This approach to inventory management is impractical in this fast-paced market and results in a lack of data for inventory analysis. By the time the analysis is complete, which can take days in many cases, the data has already changed and the analysis is obsolete. 4. Increase Supplier Visibility and Accountability: The lack of automation in ERP software means that dynamic supplier lead-times are rarely factored in when re-ordering stock. Most distributors have auto ordering set up to purchase parts over pre-designated time increments. To make matters worse, most suppliers hold buyers to rigid MIN/MAX order quantity thresholds, which more often than not forces buyers to purchase more inventory than is actually needed to meet customer demand. As a result, stock piles of excess stock build up over time and if not sold off runs the risk of turning into obsolete stock. Since distributors in automotive spare parts are often at the mercy of their suppliers, increased visibility into exact inventory purchase requirements is crucial to keeping costs contained and availability high. With the UK automotive industry forecasted for strong growth through 2020, distributors will need to keep a close eye on how well they are managing their inventory and operations. To maintain a strong competitive advantage, successful distributions businesses will look to onboard new technology that enhanced the organisation’s ability to increase operational visibility, lower cost structures and increase product availability. The most successful will look outside of traditional ERP and WMS technology. Stock optimisation software is an essential tool for managing the flow of inventory and ensuring customer satisfaction whilst still remaining profitable. As the motor industry grows in the UK, quality stock optimisation software will be fundamental to helping businesses develop sustainable business models and ultimately maximize profitability. Find out if your warehouse is up to speed with a quick self-assessment of your business. What areas do you need to address? Where could you cut back? Find out!